It’s that time again! It’s time for another Real Estate Market Update! Whether you’re thinking about buying or selling a home, or just want to know what is going on with the real estate market, this video is for you! Let’s talk interest rates, trends and more. We’ve had some wild things that have been going on both nationally and locally. So first is the amount of business which was the closed deals in January was significantly down compared to last year. Now this would be no surprise ’cause we just had that big 35-day government shutdown and if you didn’t realize we’re right here in the DMV (District/Maryland/Virginia), a lot of people’s jobs and incomes are very tied to what the government is doing. So no surprise there, but here’s a couple things that may be surprising. The first is in the later part of December, the Fed raised the interest rates. Now typically when that happens our mortgage interest rates go up as well. But guess what, going into December we were at about a seven-year high for interest rates. Shortly after that announcement interest rates actually dropped. Now there’s a lot of different reasons for that, we don’t need to get into the details on why, but the good news is that right now interest rates are fairly low. So if you’re looking to buy it’s exciting because not only are rates low, but we’re starting to have more and more inventory come on the market. This is true both locally and nationally. We’re seeing more houses come on the market. So buyers are having more choices which is very exciting. In fact, one of the top economists for Zillow basically said if this trend continues that they think we’ll have a modest re-acceleration for the real estate market. Although our sold units in January are down, but here’s what’s wild, is our pending transactions, really skyrocketed up. Now I think a lot of this has to do with again, those interest rates dropping down, having more inventory and then of course people getting back to work, as far as the government shutdown is concerned. The median sales price in January of 2018, was $392,000 in all of Annapolis. In 2019, it jumped up to $420,000. So if you’re looking to sell this is pretty positive news that things have been ticking up. I don’t expect that trend to necessarily continue. I expect a very modest increase over 2019. There’s lot of factors that are pointing to that. But basically if you look at most of the economists, they’re all saying that we should have a modest growth, unless maybe you’re in Alaska. Our inventory has been sitting around a three-month supply. If you look at the national averages, they’ve gone up to four, they kind of ticked down just a hair. My expectations for our area is that we should be going towards a four-month supply. Again I think some of that was down a little bit just with government shutdown, being winter, holidays, etc. My expectations is that this spring, summer, we’re probably gonna be right up in the fours. I know quite a few people I’m talking to are getting their house ready to sell. So if you are thinking about selling, you may want to get in front of that, get your house on the market, try to scoop a buyer up now. If you look at a lot of the national trends that come, as well as our local trends, I really do expect us to have a solid, healthy 2019. You know one interesting fact is a lot of the top economists from Fannie Mae, Freddie Mac, the new builders, they expect new construction to stay fairly flat and this next wave is gonna be really your resales. It’s gonna be people who have an existing home that wanna sell. That’s where the movement’s gonna be. That’s it! 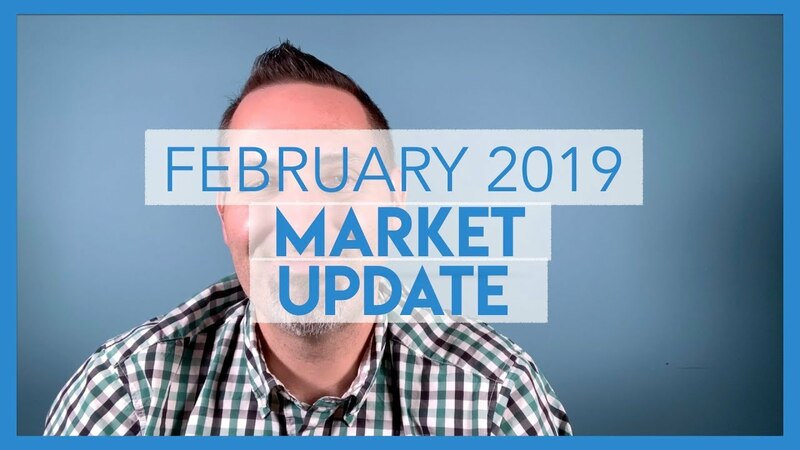 That is your February 2019 Market Update! Be sure to check out our Facebook Page so you can stay up-to-date with what’s going on in the Caprika Community.